Motorola has a release a two way radio that functions similar to a cell phone; without the bells and whistles of a cell phone. The model is the Wave on Cloud TLK 100, and it is a push to talk radio that utilizes the Verizon cellular network. This is innovative in that its a rugged two way radio, and will allow workers to communicate instantaneously across various job sites with no border restrictions. Its a lot like the Nextel radios but with the ruggedness of Motorola quality, and Verizon infrastructure. I’ve been associated with two way radios for roughly eight years now. It seems like Motorola Solutions has entered into a “Moore’s law” period where new product quality and technology is doubling every two years. Their latest release, the Motorola SL300 has features that you would only expect from a movie. Motorola released a CP200d two way radio this past week. The radio has MOTOTRBO digital features, but is in the CP family, which is Motorola’s best selling two way radio family. The interesting thing here is how Motorola is executing brand extensions. Its rare to see a legacy product family have a new product introduced, roughly 10 years after it’s original release. Its a testament of the brand and product line. If the product line was not strong, then they would have released it within a different, or newer, product category. Two way radios are a very niche subject and market, but they have always been an interest. Motorola has been the leader in this space for a very long time, and the product itself was the base for other communications products. We recently launched a new Drupal website for our longtime client CommUSA. When I first moved out to San Diego in the early winter of 2005, I was fortunate to hook on with CommUSA as their Marketing Coordinator. After a year, I became their Marketing Director, which evolved into more of an Interactive Director position. They have two niche sites in the Motorola two way radio industry, commusa.com and blinkwave.com. CommUSA focuses on high-end two way radios, like the Motorola SL7550 and staple radios like the Motorola CP200. Two Way radios are an interesting product because they have been the bread and butter for Blue Chip company Motorola for a very long time. They are essential communication tools, especially in the event of natural disasters and other situations when cell phone towers go down. It was a fun site to work on because we worked collaborately with CommUSA’s management on the UX and to make products easy to find and filter. Our Drupal Agency utilized Drupal 7 to build out the site. Check it out! Cell phone applications for business are wide reaching and confusing; just how one might grasp the basics of different phones from different carriers is a valid question. 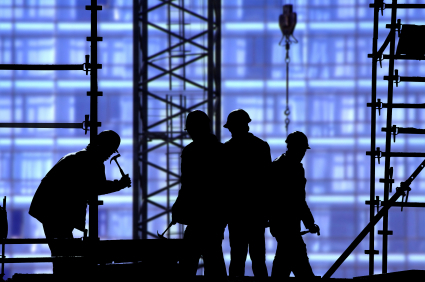 Keep in mind that in most situations for blue collar industries, you may be better off with two way radios. The MOTOTRBO XPR 6550 gives you most of the bells and whistles that these cell phone applications give. However, you don’t have to pay the monthly fee. In this article, we will be discussing a smattering of business applications for: Google Android offered through T-Mobile, Apple iPhone with AT&T, Blackberry Storm from Verizon, and HTC Touch Diamond with Sprint. Innovation has flourished in the software market, leading to many software platforms; today, however, comparisons will focus simply on a phone’s applications, not on the software platform the applications are based upon. Google made many headlines with their landmark Android software, and their initial foray into the cellular world has many buzzing, simply because an open source device has not truly been done yet in the US market. Google’s open source platform has allowed many user friendly programs to help the business person develop their brand: Locale, a service that allows users to specify where geographically to be silent, loud, vibrate, or any combination, a file sharing service (Mshare), and an Easytranslator for those of us who aren’t language savvy. This just scratches the surface of the many business uses the Google Android has. Appple’s iPhone made a huge splash in the pond when it debuted, and it still is a landmark phone for its users, and a source of consternation for the competitors. The applications for the iPhone are as broad and well developed as the Android, if not more so, for the iPhone has a decent head start. Some applications for business are: Timewerks, a client tracking and invoicing program, Goal-Tracker, which allows business professionals to create, manage, track, and develop goals, a file beaming service called iBeam, among literally thousands of options. The iPhone has been and continues to be an application dream. The Blackberry Storm is the first RIM device to display a touch screen, yet their software has been legendary both in the start up phase of cell phone and PDA device merging, and throughout their company’s history. Applications for Storm user are less broad, given the Verizon mantra of proprietary software management, however, adventurous users can download various applications from sites like fandango and be on the cutting edge of business application. The foremost feature of this phone is of course the push email, which allows users to see when an email is sent, delivered, and whenever one is sent to their phone as well. Other business applications include: Documents to Go, which allows users to navigate the different file formats easily, MyCaption, which allows a voice to text resource for emailing, and Beyond411, which allows users to specify any sort of search in a variety of ways. This Blackberry didn’t take the market by storm, but this RIM device has made it’s place secure. Sprint’s Touch Diamond has business applications, and a broad range of them hail from the windows platform of software, which is what the Diamond boasts. Alongside the platform, the Diamond also can reorient a webpage from wherever you are in your phone. Applications like Contactmanager2.0, Fileshare1, and PocketInformant 8.51 all help you with your business needs all while having simple titles. HTC’s Touch Diamond is a phone mane users can enjoy. When comparing applications, it is important first to know what your needs are. When that has been decided, and you know what cell phone carriers cover your business area in a comprehensive way, you must decide which phone, and which applications, are right for you. You have been shown many doors; happy app hunting! There are many things shaking the grounds where Motorola stands. In the past year, many cell phone corporations and other equipment companies have been trying to figure out what is the best way there is to regain their popularity and their status in the market. Motorola is one of them. While its popularity drops considerably, they leave an entire past of glory behind. Motorola has been trying to find its way back to the surface. They’re struggling to come up with more efficient phones and more appealing advertisement campaigns for those who still don’t know about their services and products availability. Although Motorola is within the top decliners list with a Stock Exchange drop index of 2%, their top engineers have been working the hardest they ever had. They’re trying their best to keep up with their competitor’s technology and at the same time looking for fresh material themselves, so they can also build up new trends. Motorola has held a solid lead on the two way radio product line. They introduced feature rich radios like the Motorola XPR6550 in the winter of 2007 and have been building on its platform yearly. One very hot topic right now is the use of cell phones while driving. Many states have adopted policies that restrict the use of using a cell phone while on the highway. I think this is a great idea as it’s really fair to assume that a ton of accidents are caused by people who can’t do two things at once. One interesting caveat on the cell phone law is that some states bundle in mobile radios. These are sometimes known as vehicular two way radios. You will notice these radios in cabs, buses, and other fleet vehicles. Since there is no thought provoking interaction (dialing numbers, texting, etc) with mobile radios, I don’t think that they should be included. Hawaii, for example, is not including mobile radios with their cell phone law. There are new radio technologies out, specifically MOTOTRBO that offer some really cool bels and whistles for mobile fleets. These radios have full GPS capabilities, which allow you to manage your fleet (and productivity) from a remote location. The best thing that the MOTOTRBO series radios is that you just have to pay for the equipment as opposed to a subscription. If you compare size and durability, I would say the BPR40 or the CP185, maybe the CP200 but it’s much better when it comes to durability and audio quality, but not size. If you look at features, then it compares somewhat to HT series, PR860 and EX series, but those are 10X the radio when it comes to everything else. This radio intrigued me, because those comparison radios very greatly in functionality. Since Motorola owns Vertex Standard, it will be very interesting if they keep producing these hybrid/multi-functional radios. Motorola is continuing to release more CP Series two way radios in to their portfolio. Recently, they launched the Motorola CP185. The Motorola CP185 has been received with warm reviews, as the two way radio is getting better reviews than the Motorola CP200, which is Motorola’s best selling two way radio. Two way radio communicators like the fact that the Motorola CP185 is a display. Battery strength and radio signal indicators are viewable from the display. Other Motorola radios, such as the CP200, do not have a display. I was surprised that the CP185 didn’t come with a water resistant casing, like the Motorola CP110, which was released in late summer, 2008. I am curious if Motorola will continue to build the CP product line or if they will add some new radios to the Mag One series. Bloomberg reported yesterday that the two way radio division for Motorola had a really good quarter. They raised profit 23% to $403 million and sales gained 4% to $2 billion. As I’ve reported before, the MOTOTRBO is a huge reason for the success of this division. 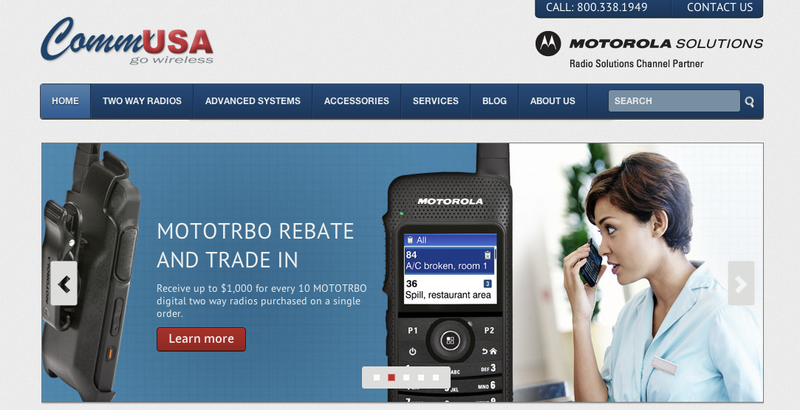 The two way radio division has been Motorola’s bread and butter since the company was formed. Unfortunately, they got caught up on low margin consumer electronics, and lost their way for a while. Motorola had a hit with the Razr, but quickly lost their edge (no pun intended) when the iPhone and other phones hit the market. At $5.37, Motorola’s stock can only go up. I’m buy no means a stock analyst, but feel that it’s a good buy.